In the collection at Chetham’s Library, Manchester, is an illustrated novel, published in 1877.Titled The Story of a Honeymoon, the novel was written and illustrated by Charles H. Ross and Ambrose Clarke. The Story of a Honeymoon hides a compelling secret. Ambrose Clarke never existed. Rather, another illustrator was given cover by the invented name of Clarke. But this isn’t the heart of the matter, nor is it the whole secret. The artist drawing as this fictional man was a woman, Marie Duval (1847–1890). In 2017, Simon Grennan identified Duval’s work in The Story of a Honeymoon for the first time. On stage, Duval was popular for performing as a leading man, in crossed-dressed roles. This re-gendering was overt, a conscious performance ‘as a man’ by a woman, rather than hidden under a male identity as the cartoons were. Grennan explores this historical legacy through his contemporary Duvallian drawings. He focuses on the manners and habits of twenty-first century mass leisure culture, plus its roots in the great cities of the nineteenth century. 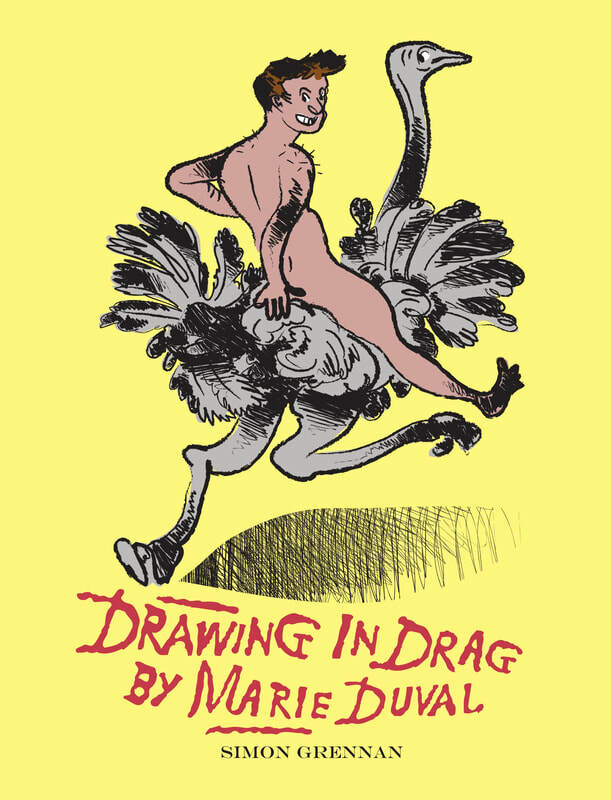 He adopts the pseudonym Marie Duval, producing drawings in drag, as a woman. 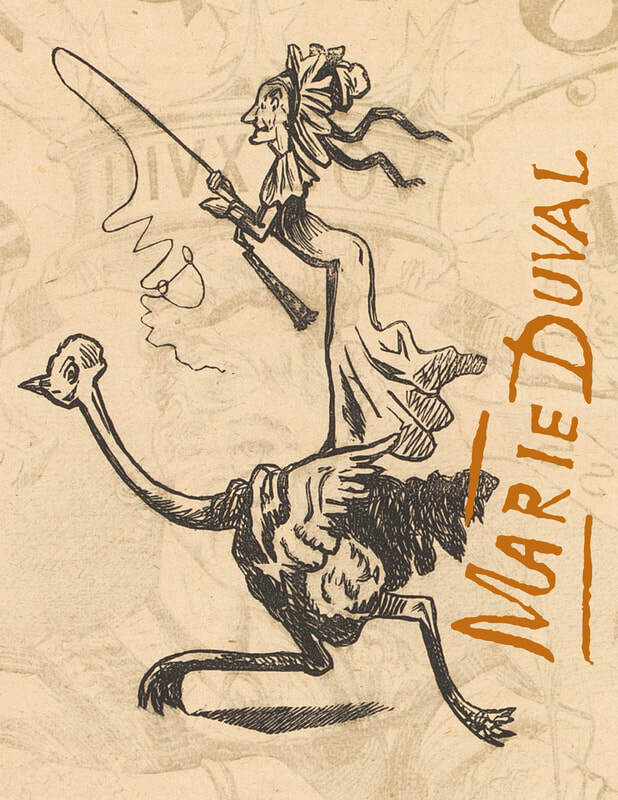 Marie Duval (1847–1890) was a groundbreaking Victorian female cartoonist whose wide range of work, depicting an urban, often working class milieu, has been largely forgotten. This is a book for pleasure: the first to celebrate her life and work. Marie Duval confounds one of our most commonplace ideas of the Victorian era––that women were not supposed to create or even to participate in public life and certainly not meant to be either comic or professional. Her comic strips were not only pioneering in terms of what we have come to call ‘comics,’ but present a vernacular comedy that frequently undercuts the work of her male contemporaries. The book provides an entertaining visual account of the work of Duval as she struggled and succeeded in creating a new urban visual culture. Creativity, emotional intelligence and common sense are amply shown in the 14 touching and informative stories drawn by Simon with Christopher Sperandio, edited and adapted by Simon, Ernesto Priego and Peter Wilkins. 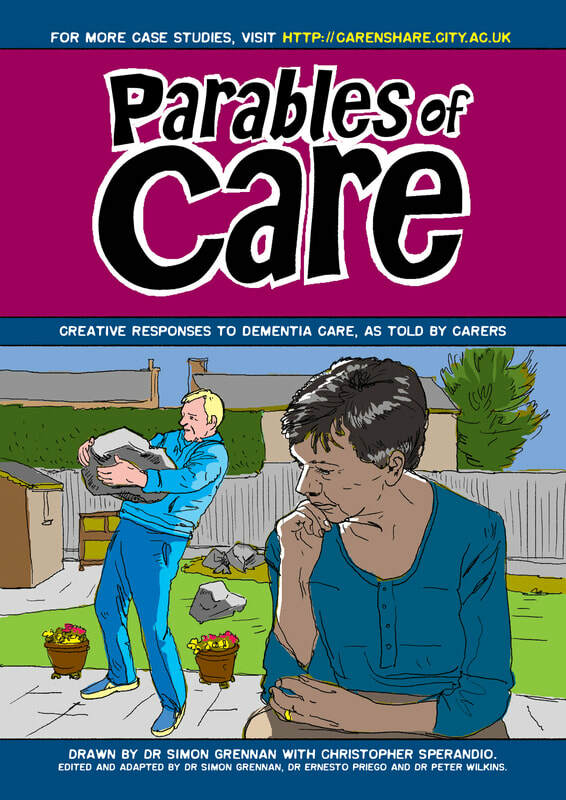 The stories were adapted from a group of over 100 case studies of real-life dementia care situations described by a wide range of carers, available at http://carenshare.city.ac.uk. The book is available free as both hard copy and download, as part of the ongoing engagement, training and development programmes at City, University of London, the Tavistock and Portman NHS Foundation Trust and The Faculty of Health Sciences at Douglas College, Vancouver, Canada Vancouver. A Vancouver reviewer commented: "I feel like I actually LEARNED something about dementia from this. A don’t think any other medium could have conveyed what is conveyed here so succinctly. Without context, the first time I looked at it, I felt the comics were confusing. When I read it again, the stories became more interesting and both the problems and ways they were handled became clear. Fascinating." Offering an original conception of visual story telling, proposing that drawing, depictive drawing and narrative drawing are produced in an encompassing dialogic system of embodied social behaviour. The book refigures existing descriptions of visual story-telling, which pause with theorisations of perception and the articulation of form. It examines key issues in the field, including: the relationships between vision, visualisation and imagination; the theoretical remediation of linguistic and narratological concepts; the systematisation of discourse; the production of the subject; idea and institution; and the significance of resources of the body in depiction, representation and narrative. The book then tests this new conception in practice: two original visual demonstrations clarify the particular dialectic relationships between subjects and media, in an examination of drawing style and genre, social consensus and self-conscious constraint. 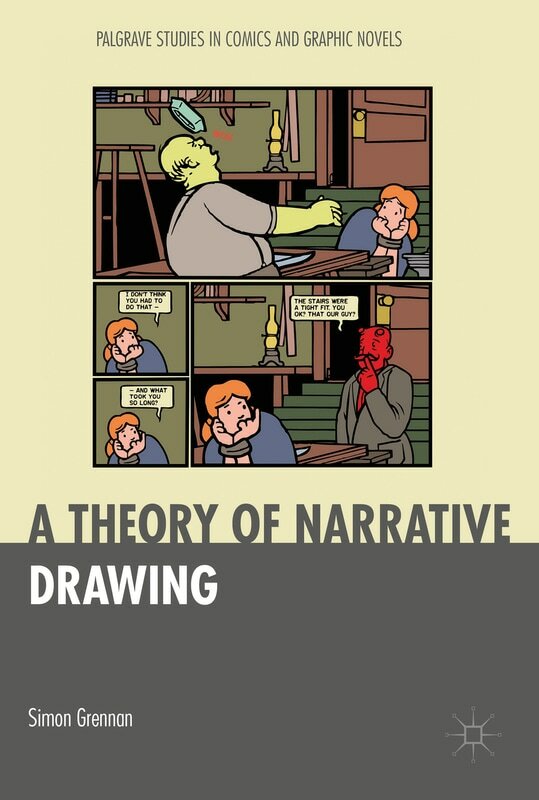 The book’s originality derives from its clear articulation of a wide range of sources in proposing a conception of narrative drawing, and the extrapolation of this new conception in two new visual demonstrations. England, 1873. John Caldigate, a young gentleman, gets into debt gambling and decides to try his luck in the gold fields of New South Wales. On the outward journey, he promises to marry Mrs Smith, a divorced actress. Returning home a rich man, John marries Hester, the sweetheart he left behind. Soon, Mrs Smith also returns from Australia, penniless, and claims that she is already his wife. Inspired by Anthony Trollope’s 1879 novel John Caldigate, Dispossession embeds the reader in a uniquely wrought experience of the mid 19th century, including the first ever appearance of the Australian aboriginal Wiradjuri Language in a graphic novel. Taking unique advantage of the graphic form to conjure the material world of the Victorian era in a glittering waltz of intense colour and deep shadow, Dispossession is a virtuoso and intensely affecting graphic novel by a master visual storyteller. The French language edition of Dispossession, translated by Mireille Ribière. New in-depth analysis by leading international scholars of Dispossession, illustration in the late nineteenth century and the adaptation and uses made of ideas of the Victorian past in ‘neo-Victorianlsm’. Edited by me and Laurence Grove. 100,000 words. Featuring new commissioned chapters by Aarnoud Rommens, Ian Hague, Mel Kohlke, Peter Wilkins, Roger Sabin, David Skilton, Barbara Postema, Hugo Frey, John Miers and Simon Grennan, Frederik Van Dam and Jan Baetens. 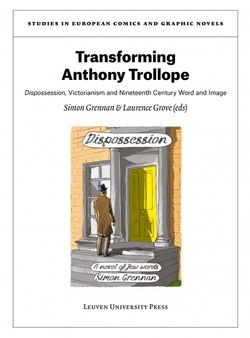 Dispossession: Simon Grennan’s graphic adaptation of Trollope’s John Caldigate. Using the Victorians: appropriation, adaptation and historiography. The graphic novel is the most exciting literary and artistic form to emerge during the past thirty years. One of the most inspired uses of this new form has been the creation of high-quality adaptations of literary classics. Unlike the previous abridged and simplified comic book adaptations, which were aimed at younger readers, most new graphic novel adaptations are created for adults, and can capture the subtlety and complexity of any literary work, no matter how sophisticated. 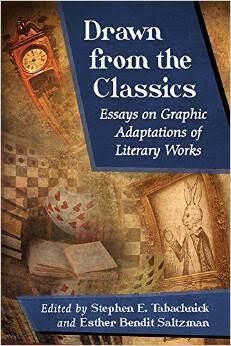 The expert contributors to this book--the first and the only volume to be exclusively devoted to graphic novel adaptations of literary works--demonstrate how the graphic novel brings a new way of seeing and understanding the classics, including the writings of Homer, Poe, Flaubert, Conrad and Kafka, among many others. High school and college students and teachers will find these essays exciting, informative, and useful. Titled 'Recognition and resemblance: facture, imagination and ideology in depictions of cultural and national difference', my chapter discusses the cultural implications of depictive recognition and mis-recognition. Multiculturalism, and its representation, has long presented challenges for the medium of comics. This book presents a wide ranging survey of the ways in which comics have dealt with the diversity of creators and characters and the (lack of) visibility for characters who don’t conform to particular cultural stereotypes. Contributors engage with ethnicity and other cultural forms from Israel, Romania, North America, South Africa, Germany, Spain, U.S. Latino and Canada and consider the ways in which comics are able to represent multiculturalism through a focus on the formal elements of the medium. From reality television to celebrity gossip magazines, today's technologies have enabled a vast number of personal narratives that document our existence and that of others. Multiple academic disciplines now define the self as fluid and entirely changeable: little more than a performance that is chosen according to the situation. While news journalists still pursue the authentic narrative, advertising and politics might be accused of exploiting the narrative tendency, and across media the personal and public become increasingly merged. 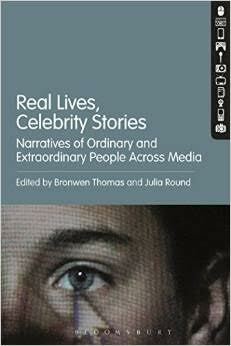 Real Lives, Celebrity Stories collects research from published and experienced professionals, practitioners and scholars who discuss narratives of real people across cultures and history and in multiple media. It uses narrative theory to interrogate the processes by which we create, promote and consume these stories of real people, and the ways in which we construct our own stories of self.